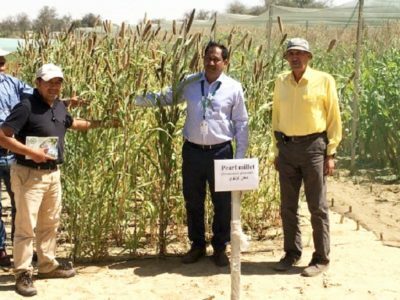 ICRISAT working with multiple partners has developed climate resilient dryland crops and a pool of climate-smart technologies that can help farmers cope with increased climate change risks. The approaches are focused to equip smallholder farmers in the semi-arid tropics to use climate-smart scientific interventions to make agriculture more profitable and sustainable. Click on each model to see the detailed approach. A pool of climate-smart agricultural practices equips farmers in the mining belt of Karnataka, India, to rehabilitate their ecosystem and earn up to 12% – 27% better crop yields even in uncertain weather. 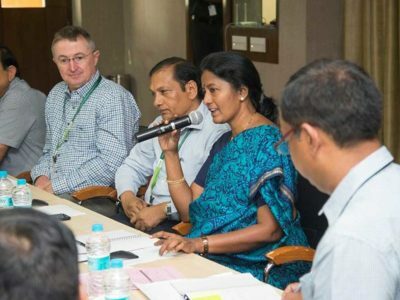 ICRISAT’s pool of climate-smart agricultural practices is equipping farming communities in the mining belt of Karnataka, India, to restore their ecosystem and get better crop yields and incomes even in uncertain weather. 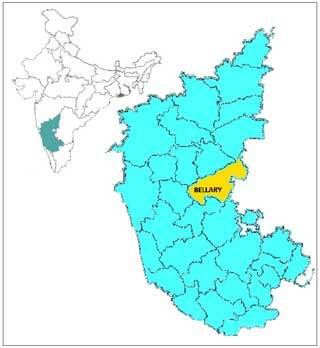 Bellary district of Karnataka, India, is a hotspot of water scarcity, land degradation and poverty. Youngsters are employed in mining and related industrial activities and agriculture is taken up by older men and women folk. Shortage of labor, falling returns due to low crop yields and price constraints have impacted agriculture negatively, resulting in food insecurity and poor nutrition of humans and cattle in the region. A temperature rise of 2°C or more, dry spells and unseasonal rains1 are predicted for Bellary district for 2021-2050, escalating future farming risks. ICRISAT along with the Karnataka State Department of Agriculture, District watershed development, NGOs and the local community has undertaken watershed interventions in four villages near JSW Steel plant covering 7,000 ha. Rainfall measurement at watersheds quantifies moisture availability in different phenophases of crop growth. It helps farmers schedule irrigation. For the purpose, data on rainfall, air and soil temperature, solar radiation and wind velocity and direction is collected. Additional data is collected from rain gauges. The automatic runoff recorder and sediment sampler monitor the runoff rate and soil loss. 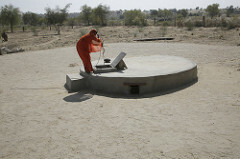 Trained farmers monitor groundwater levels at selected wells at fortnightly intervals. 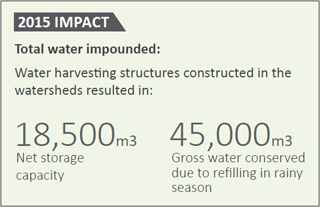 Structures for water management and harvesting such as check dams, field bunds, farm ponds, percolation tanks, bore-well recharge pits and waste water treatment tanks were built. Desilting of tanks was also undertaken. Replacing missing micronutrients: Based on soil health tests, farmers applied the prescribed dosages of fertilizers such as gypsum, zinc sulphate and borax to their fields. To control dust from mining activities, avenue planation was done and 18,100 horticulture plants were planted. Animal health programs were taken up. Three farmers are growing Azolla (aquatic fern) as nutritional feed. A Bhoochetana experiment showed that feeding cows with Azolla increased milk yield and higher fat content. Activities like vermicomposting, nursery plantation and small enterprises that make use of locally available produce. On International Women’s Day, ICRISAT Development Center launched its Nutri-kitchen Gardening program. 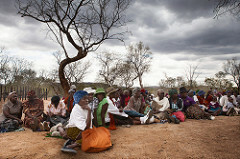 About 115 women received seed kits and learnt how to grow fruits and vegetables to meet nutrition needs. 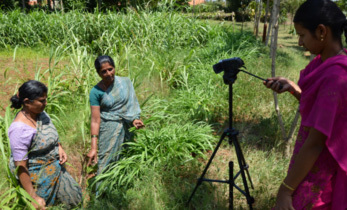 In partnership with Digital Green, an NGO, farmer-to-farmer videos were shown by Farmer Facilitators using battery-operated Pico Projectors. 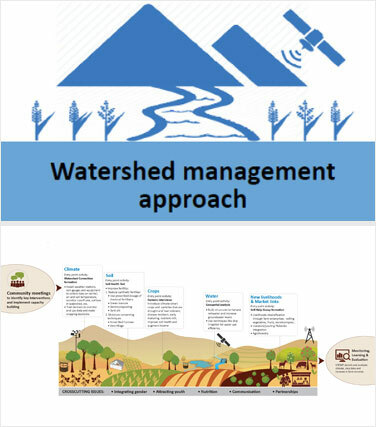 Watershed committee training programs, exposure visits and field days were conducted for farmers and women Self-Help Groups and 3,500 farmers benefitted. L to R: Farmers grow improved variety of groundnut; water conservation structure; automatic weather station; azolla as nutritional feed for cattle. 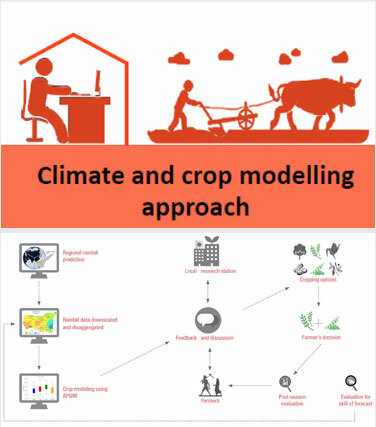 Using a multi-model framework for climate, crop, livestock and socio-economic simulation, customized climate change adaptation packages were developed for farmers in Nkayi, Zimbabwe. 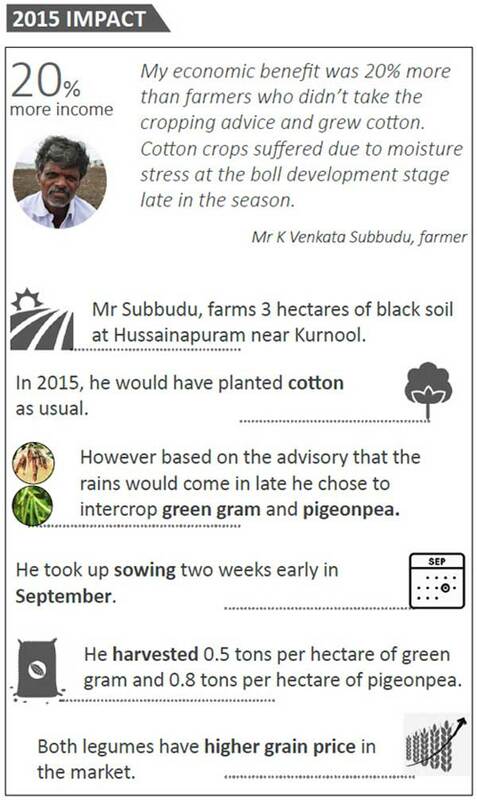 The computer-simulated scenarios are helping policy makers to make crucial decision to support farmers. 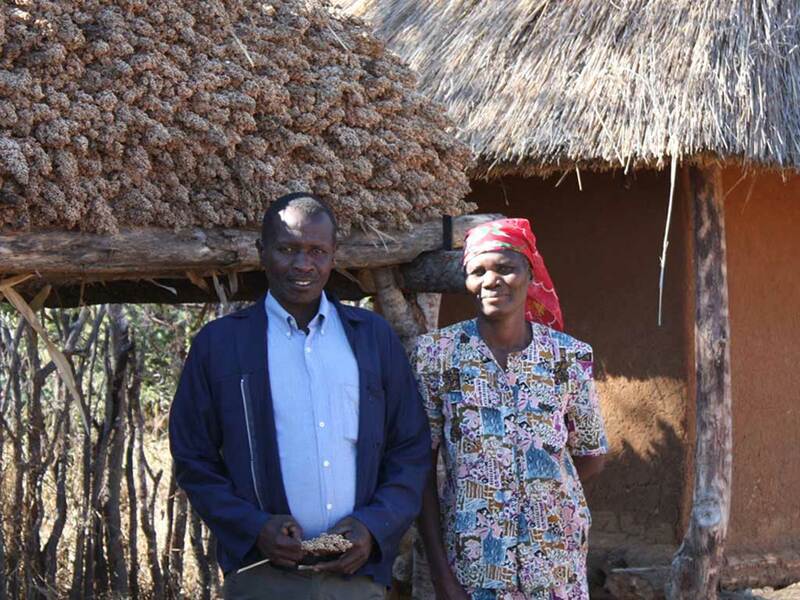 Hit by two consecutive droughts, farmers in Zimbabwe are reeling under the impact of unpredictable climate. The situation is much worse in Nkayi district, one of the sites of this project. 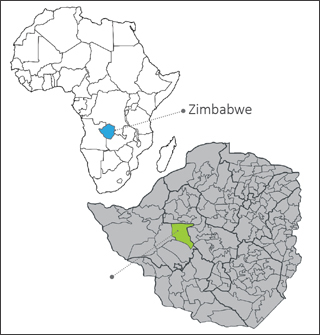 Statistics show that this district has the highest poverty prevalence in Zimbabwe. Future scenarios predict that 60% of farming households will be exposed to greater vulnerability due to an estimated 2 -3.°5C* rise in temperature. Researchers say that the time to begin equipping Nkayi farmers to face a grim 2050 climate scenario is now. 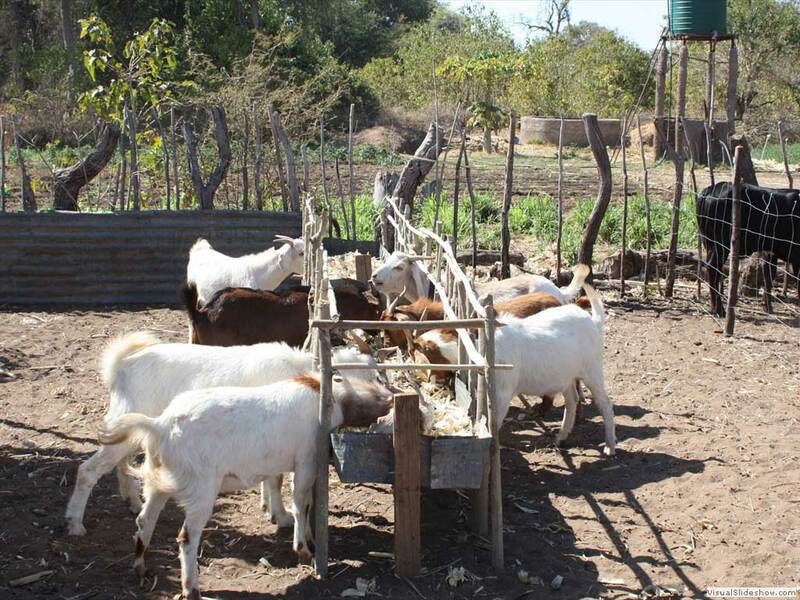 Building on the lessons learnt from Phase I of the project, the Phase II interventions aimed at tailoring drastic adaptation packages to suit farm types. To substantiate the benefits of this package over the blanket technology packages in use, the following interventions were made. 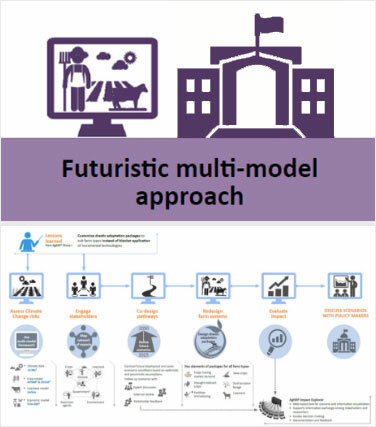 A multi-model framework with climate, crop, livestock and socio-economic components was used to create scenarios. Stakeholder networks were mapped to bring together expertise on crops, livestock, markets, environment, climate change, agricultural extension and rural development. 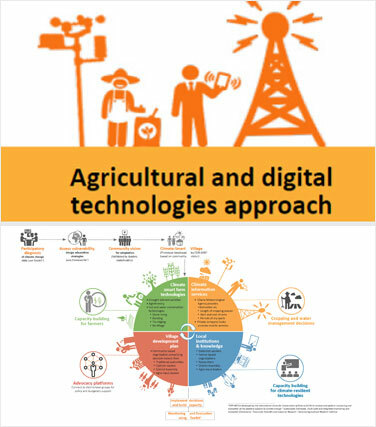 Communication channels were designed at national and sub-national scales for leveraging synergies from improved access to markets, technologies and subject expertise. 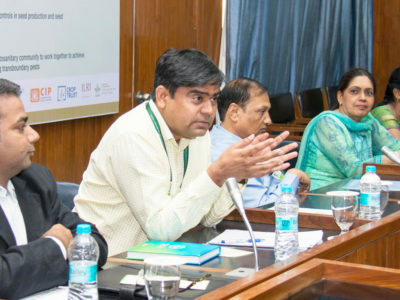 Information exchange among stakeholders and researchers was through AgMIP Impact Explorer, a web-based tool used for scenario and information visualization and documentation. Together they defined future biophysical and socio-economic conditions that were contrasted based on optimistic and pessimistic assumptions. Scenarios were followed up with expert discussion, external review and stakeholder feedback to design the adaptation package. 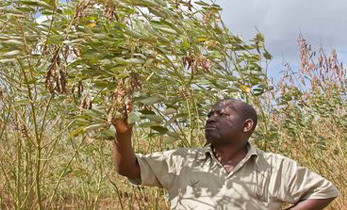 Other crops: Common beans (for Very poor), Banagrass (for Better-off). Milk production: Protein rich fodder from mucuna and groundnut haulms increases milk yield. 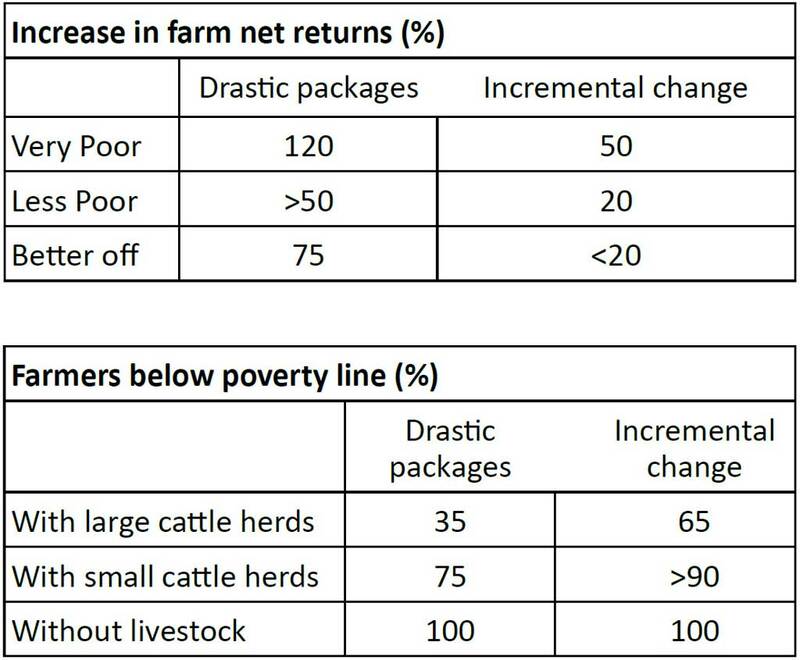 For incentivizing farmers for adoption of the adaptation package large-scale measures need to be taken by policy makers and key stakeholders for linking farmers to markets and integrating crop and livestock production. those with large cattle herds. The impact of climate change is hard to quantify and policy makers find it difficult to estimate the cost of the interventions needed to combat it. In this case computer-simulated scenarios gave policy makers a picture of what was ahead helping them make necessary decisions. 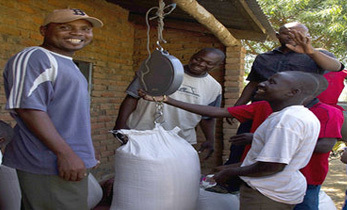 With the support of the Government of Zimbabwe, ICRISAT imported 20 tons of groundnut seed from Malawi, which was distributed to farmers for seed multiplication and testing. This was in response to Nkayi farmers demand for quality certified seeds and also in line with scientists’ recommendations for reviving groundnut cultivation given its high market demand and its use as nutritious feed, fodder and soil enriching properties. 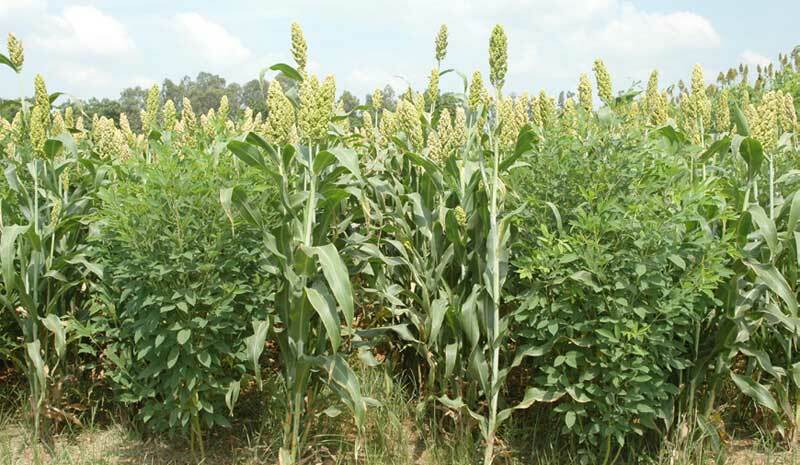 Recognizing the need to promote more drought tolerant crops, the Government of Zimbabwe has set the purchase price for sorghum and millet to equal maize. Faced with frequent unpredictable dry spells, farmers rely on mobile climate advisories for critical and timely information to decide when to sow crops and when to store or release harvested rainwater in a village in Ghana. In Jirapa district, the distribution of rain within the season is so erratic that it is difficult to predict for any cropping year. 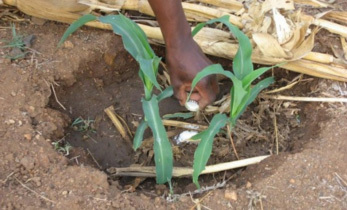 Farmers often plant seeds two or three times before rains set in reliably. Long spells of drought often punctuate the wet season, leading to partial or total crop failures. When this happens, it causes severe household food shortages and therefore acute malnutrition among children and women. The region has extremely challenging conditions for farmers with high temperatures, erratic rainfall and eroded soils resulting in lower crop yields. 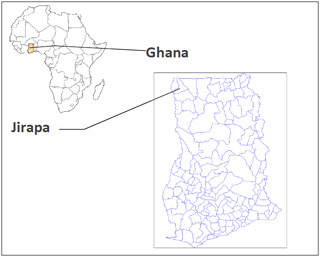 Climate change in Ghana is expected to take the form of more frequent and intense drought, increasing rainfall variability, and higher temperatures – from between 2°C to 4°C by 2100, or about 1.5 times higher than the global average (Nii et al. 2011). These changes are expected to affect crop yields and resource availability in a region already characterized by scarcity. 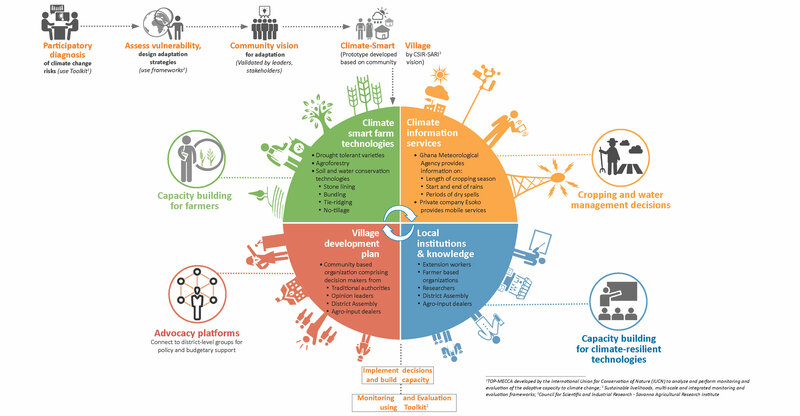 The development of the Climate Smart Village (CSV) starts with participatory diagnosis using a Toolkit for Planning, Monitoring and Evaluation on Climate Change Adaptive capacities (TOP-MECCA) developed by the International Union for Conservation of Nature (IUCN) to analyze and perform monitoring and evaluation of the adaptive capacity to climate change (Somda et al., 2011). Based on the vision developed by the community, the Council for Scientific and Industrial Research – Savanna Agricultural Research Institute (CSIR-SARI) team and its partners developed a CSV prototype with the below components. Prepare for heavy rain risk by adopting dam management – release harvested water if needed well before the peak of rainy season. 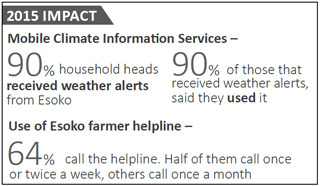 In 2015, an agreement was signed with Esoko a private mobile service provider for disseminating climate information and answering farmers’ queries. 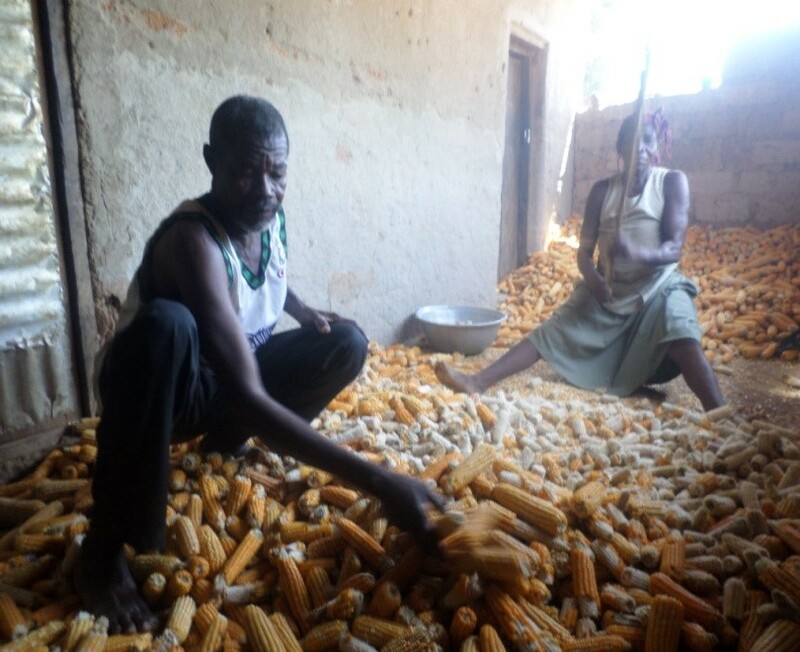 Doggoh farmer Mampong Naa, who grows maize and millet, says he has benefitted from the farmer helpline. Some of these technologies were combined for integrated soil fertility management. 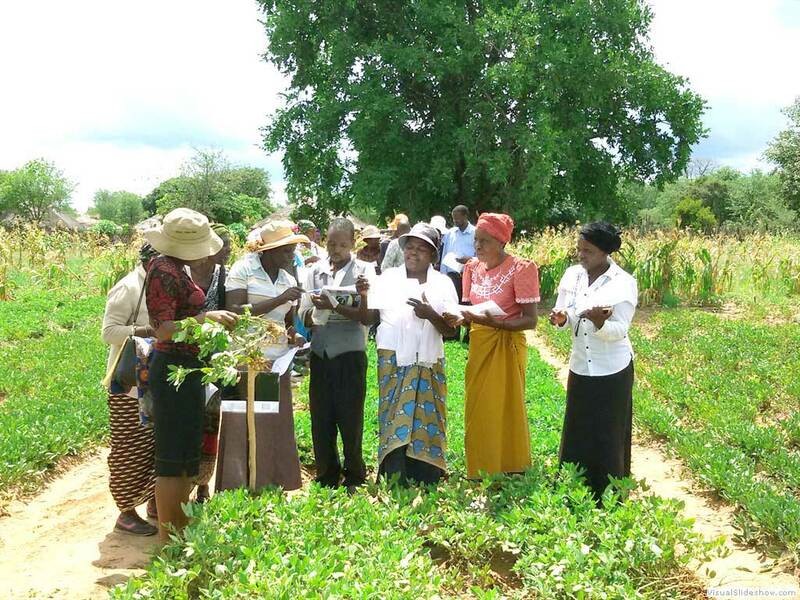 Women Climate Smart Groups were trained in soybean production and post-harvest losses reduction. With the support of CCAFS, International Union for Conservation of Nature (IUCN) and in partnership with local partners in Ghana like Council for Scientific and Industrial Research – Savanna Agricultural Research Institute (CSIR/SARI), Ministry of Food and Agriculture (MoFA), CSIR-Forestry Research Institute of Ghana (CSIR-FORIG) and Langmaal Centre for Rural Development Initiatives (LACERD) efforts were made to develop capacity of national institutions and community organizations in the region. The plan reflects the vision of the community for CSV. The CSV is connected to platforms to catalyze the development plan at the district level. One of the specific objectives of these platforms is to advocate for policy and budgetary support for climate change, agriculture and food security adaptation and mitigation action. In Mopti, Mali, farmers are combating climate change by adopting ecosystem conservation methods and using high quality climate information for agroforestry, crop, livestock management decisions. Frequent recurrence of dry years since 1968 and prolonged drought have been the bane of the Mopti region in Mali. Inter-annual rainfall variability is very high and the region is exposed to both flooding and drought1. Increasing soil degradation and erosion has worsened the situation affecting on-farm productivity and food security. Nearly 40% of households have a poor or limited food consumption score (2013). The average rates of stunting stand at 46.5%. Levels of wasting are also very high at 14.7%2. Climate change predictions for 2025 point at an average temperature increase of 2.71°C to 4.51°C. Rainfall is predicted to decrease by 11%. Crop yields may decrease by 5.5% and forage yields may fall by 20%. Non climate-driven problems such as rangeland management, increasing population pressures, lack of capital for investment and incentives for sustainable rural development, are likely to be greatly aggravated by climate change. 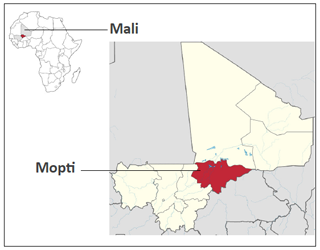 Innovative climate-resilient technologies developed specifically for Mopti, Mali, were implemented in 458 ha to demonstrate that climate change adaptation is achievable. This activity resulted in an action plan that tapped local knowledge and emphasized on strong community linkages to take collective action and generate internal answers to common issues. To implement the action plan the following activities were implemented. Groups for dissemination of climate information such as Groupes Locaux d’Assistance Météorologique (GLAM), Groupes Communaux d’Assistance Météorologique au Monde Rural (GCAM) and committees for early warning such as Comites Locaux d’Alerte Precoce (CLAP) were set up. Innovation Platforms were set up to provide a forum for science and technical service providers, farmers, herders, fisher folk and decision makers. Information shared enables stakeholders to provide community level recommendations and influence decision making through village planning meetings, farmers’ local committees, and farmers’ councils. Technology Parks were established to support innovation diffusion and uptake of improved practices that have been tested on farmers’ fields. Nursery groups and Rural Resource Centers for agroforestry production and market linkages have also been set up. Farmer Field Schools (FFSs) provided training on resilient technologies and other innovative practices specific to the village. 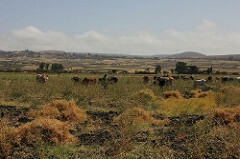 Fodder bank management committees ensured growing high-protein forage crops like legumes and trees like baobab that make for good leafy food banks. Farmer’s Council (Conseil d’Agriculture) managed community areas. Capacity development was based on locally driven needs and applied local adaptation approaches. 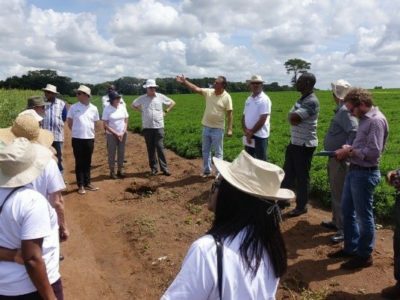 In the crop sector, the training included innovative horticulture systems and dryland cereals technologies such as improved varieties, soil fertility management, and crop/legume systems. 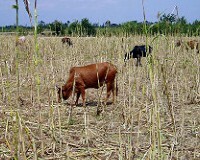 Crop and livestock systems have been supported by fodder banks. For composting activities, farmers’ groups were provided with tools and materials. In agroforestry systems, the training included grafting, tree food banks, exclusion of areas from direct production to rehabilitate degraded land, and farm-based natural regeneration. Trainings on soil and water conservation techniques like contour boundaries, zai pits and stone boundaries were taken up by FFSs. The calendar shows water availability for cropping decisions, available grasslands and forest area for herders, and status of ponds and rivers for fisher folk. It is prepared by Mali Meteo, Mali’s Agrometeorological advisory program. Local groups use the crop season calendar to prepare bulletins for farmers for radio transmission every 10 days over the season. Committees for Early Warning convey monthly information through village assemblies for improving planning of agricultural activities. Climate Change awareness is spread through radio, theatre, public conferences, school debates and inclusion in curricula; sharing of knowledge between stakeholders through various fora. Efforts were made to include women in all activities. The participatory planning discussion had 46% women. The CLAP has 33% women. 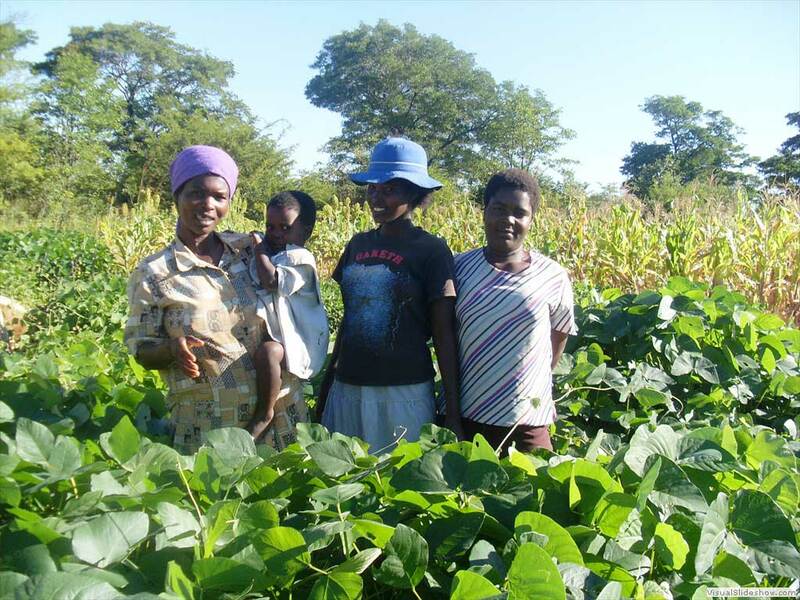 Volunteer women farmers have taken up resilient farming practices and have shown interest in intercropping cereals and legumes, and horticulture. To increase Climate Change awareness among women, radio programs are broadcast at times that are convenient for them. The ‘learning agenda’: The learning agenda is a research effort designed to inform the United States Agency for International Development (USAID) projects about how to build a more effective climate resilient agricultural sector in Mopti. 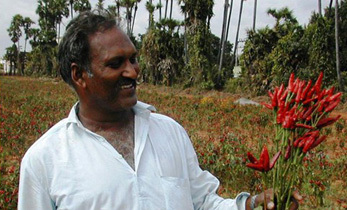 In a pilot study conducted in South India, farmers who followed the cropping advisory derived from climate and crop simulation modeling earned 20% more than others who did not heed the advice. 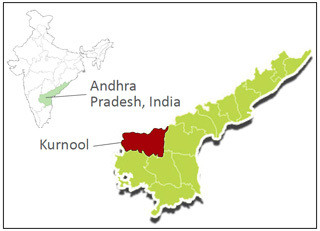 A majority of the farming community in Hussainapuram, Kurnool, Andhra Pradesh, India, live below the poverty line. 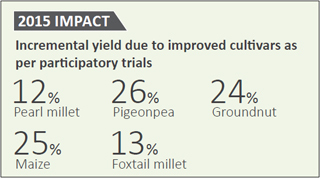 Over 50% of the cultivators hold less than two hectares of dryland. 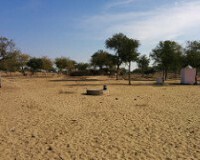 Twice in every five years the village experiences drought. Recurrent droughts force migration to nearby cities for employment. In this region the deep black soils are deficient in major and micro nutrients like nitrogen, phosphorus, sulfur, boron and zinc. Cotton, groundnut, sunflower and chickpea are the major crops in the region. Cotton growers have been the worst hit by changing rainfall patterns. June: Normal onset and quantity of rainfall. July – August: Less than normal rain. September – October: More than normal rainfall. A rainfall pattern like this cannot sustain the staple crops cotton and groundnut. Cotton grows for 150-165 days and needs 600 mm rainfall/irrigation from June to December, while groundnut grows for 105 -110 days, needs 450 mm rainfall/ irrigation and is sown anytime from mid-June to August. 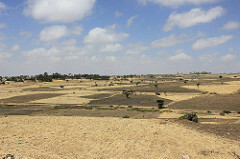 In view of the recurrent droughts the village faced (twice every five years), crop advisories were developed using the following approach to minimize farmers’ risk in seasons with less rainfall. The approach uses the Indian Institute of Tropical Meteorology (IITM) seasonal forecasts derived from GCM output and major ocean influences, and local weather patterns. 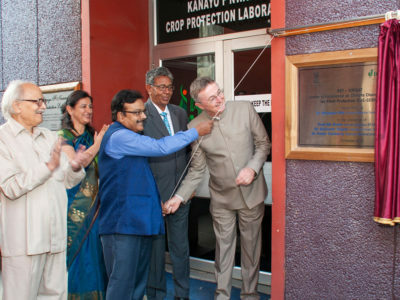 The rainfall data is downscaled and disaggregated to multi-stational level by ICRISAT. Using the APSIM simulation model with inputs of historical weather and crop productivity data for 40 seasons, scenarios are assessed for various cropping options for the season. 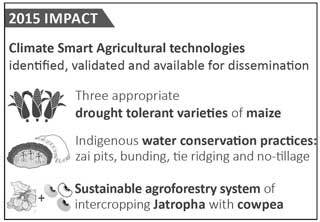 This is the third year ICRISAT has assessed scenarios for the project. The scenarios are shared with the local research station and farmers. Based on the feedback the best cropping options are arrived at. The cropping advisory is shared in a village meeting in the month of May based on which farmers take their individual cropping decisions. 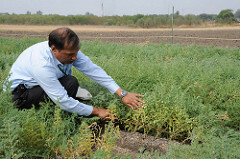 Scientists advise farmers on what crops or combination of crops to grow and when to take up sowing. 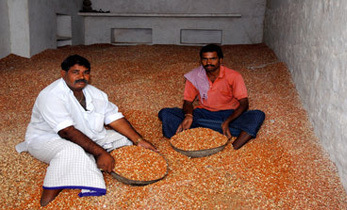 Farmers are also warned that the rainfall may not be sufficient to grow certain crops. Weather-based cropping advisories are shared in a village meeting. For the 2015 season, farmers were advised to intercrop short duration legumes like green gram (70 days), black gram (90 days) or a cereal like foxtail millet (90 days), with a longer season legume like medium duration pigeonpea (150 to 165 days) which matures when good soil moisture is expected in the season. 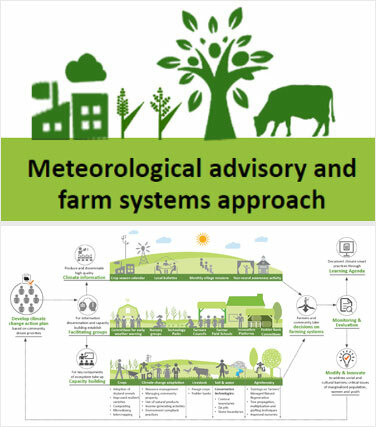 Post-season evaluation for value of forecast in terms of benefit to farmer is done and the results are shared with the farming community to demonstrate the advantages of following weather-based crop advisories. Simultaneously the skill of forecast is evaluated to ensure greater accuracy in the future. 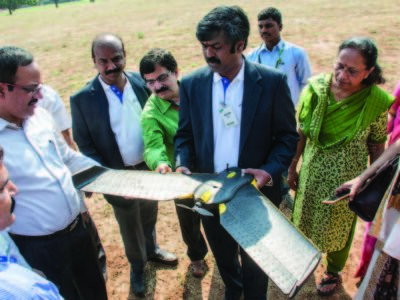 Future: The research has been extended to include some 150 farmers in Bijapur district, Karnataka, and more than 100 farmers in three other villages of Andhra Pradesh. Farmers in Kurnool who adopted the seasonal forecast based practices obtained ₹15,000 additional income with much lower investment than those who grew commercial crops like cotton and chillies. Intercrop of sorghum and pigeonpea. and providing climate modeling and decision-making tools. In the dryland tropics, like Niger, indigenous plants are hardy and natural survivors - they have adapted to tolerate drought. Using a bottle cap, they apply tiny amounts of fertiliser - about one-sixth of the quantities normally put on grain crops in Europe - directly to the plant roots. Research shows this increases yields in Niger by an average of 55%. Drought in Niger has left about 8m people, more than half the population, needing food aid. But scientists say a simple farming method - fertiliser micro-dosing - could have averted the crisis. Farmer Seydou Boubacar and his wife Zaina use the technique. Another method to counteract poor yields during drought, and the famine it brings, is known as bioreclamation of degraded lands: The exhausted soils of the Sahel are replenished using rainwater storage methods and planting indigenous trees and crops. It is not the only agricultural method that could be practised to increase yields, the researchers say. Low pressure drip irrigation is very successful. Instead of taking hours to water a plot with watering cans, a drip kit takes 10 minutes to turn on.